At the conclusion of the recent International Summit on Human Gene Editing in Washington, DC, its organizing committee released a much-anticipated statement recommending how human genetic engineering should be regulated. 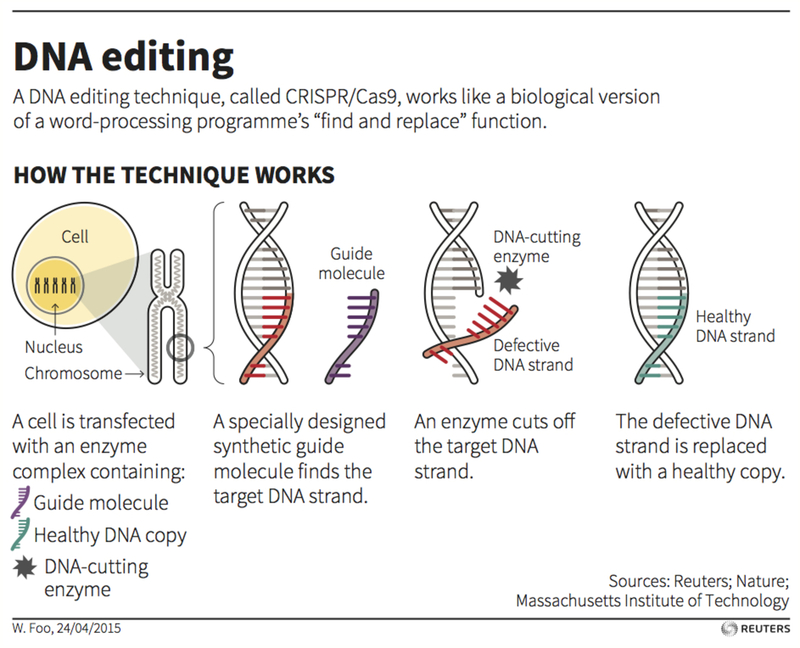 Co-organized by US, UK and Chinese national academies, the summit gathered preeminent researchers, clinicians and ethicists to grapple with how new gene editing technologies – particularly the method known as CRISPR – should be used. As CRISPR-cas9 is refined in the lab, several actual and proposed trials using the technique have raised ethical concerns. Somewhat surprisingly, the summit statement was generally supportive of human gene editing. It suggested that research into genetic modifications should continue as long as it doesn’t lead to a pregnancy. The statement opposed (for now) clinical use of germline modifications – those are genetic changes that would be in every cell of a resulting baby and be passed on to future generations. The committee, though, approved of clinical use of somatic (body) cell gene therapies that affect only the treated individual, not future offspring. There is not yet consensus within the gene editing community over what the ethical and legal limits to techniques like CRISPR should be. The statement contributes a reasonably clear position: research into using gene editing to cure diseases should continue. But by saying we should hold off on non-research changes to genes in sperm, eggs and embryos, I’d suggest the ethical distinction they make between modifying body cells and germline cells is tenuous. This leads to inconsistent regulatory standards that risk either underregulating somatic therapies or overregulating germline therapies. The committee’s position is at once liberal and conservative. On the one hand, it promotes more research into germline editing, and does not suggest forever shutting the door on reproductive applications – policies are to be revisited regularly. Others had called for a stronger moratorium or even a ban on such research. These voices are concerned that medical risks and ethical pitfalls have not been adequately taken into account. But the committee’s position is also conservative, as it does not imply a major change to gene-editing “business as usual” in the host countries. Existing Chinese guidelines and UK law are already in line with this new statement. They ban reproductive germline modifications. But non-reproductive germline research and clinical somatic therapy are permitted under certain conditions. The US situation is more complicated. While federal funding is not presently provided for germline research, no ban on private research (or, for that matter, clinical germline modification) is in place. But since the committee’s statement does not urge countries to provide national funding for germline research, it’s consistent with the US regulatory landscape. The committee statement – also in line with many current regulations – makes a careful distinction between clinical somatic cell gene therapies and germline cell therapies. So, the recent infusion of genetically modified white blood cells that saved the life of a baby with leukemia, Layla Richardson, would be acceptable. But it would have been unacceptable if the intervention had also affected her egg cells, and thus future children. There are three important differences between the two approaches. Somatic therapies target genes in specific types of cells (lung cells, skin cells, blood cells, etc), while germline modifications, applied to embryos, sperm or eggs, alter the genes in all the resultant person’s cells. Somatic cell modifications are noninheritable, affecting only the treated individual. Germline modifications would be passed on to future generations. 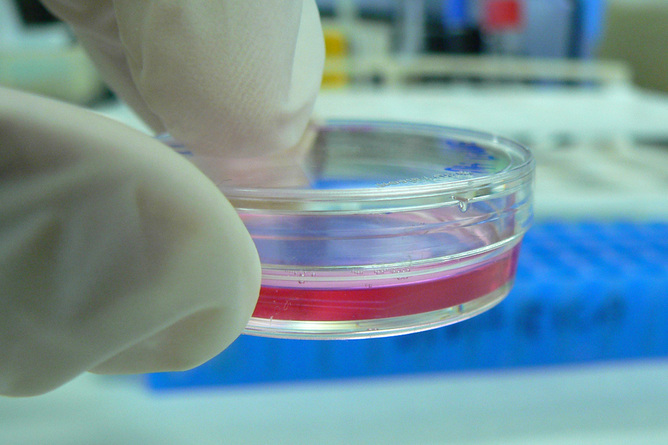 Somatic cell therapies have been tested and implemented for much longer. The first somatic trials occurred two and a half decades ago, while human germline editing studies have only just begun this year. But do those differences merit a significantly different regulatory approach – a moratorium for clinical germline editing, versus standard regulation for somatic therapies? I would, in line with a critique that appeared during the advent of somatic therapies, suggest not. Does the ethical distinction make sense? One reason for the different approaches concerns risk levels. Germline gene therapy both has greater impact and is less established than somatic gene therapy. This certainly merits more caution. Regulatory bodies should be more reluctant to approve therapies with wide-ranging, uncertain effects. It’s sensible to demand strong evidence of safety and reasonable risk/benefit ratios before new technologies are made available clinically. This is the approach we take to all novel biomedical interventions. Indeed, when somatic cell therapy was first proposed, it was also a new therapy with potentially severe risks. Careful regulation, rather than a blanket moratorium, was needed to manage those risks. A similar approach would make sense for germline modifications. Does what kind of cells you’re targeting matter? The committee emphasizes in its statement another reason for the distinction between editing genes in the two kinds of cells. Heritability of germline changes is a novel form of risk not adequately accounted for in current regulatory frameworks. However, I would argue the long-term risks of inheritability unique to germline modification are much less certain and actually more manageable than the short-term risks of harmful modifications shared by somatic therapies. The therapy used on baby Layla was the first of its kind tried in humans, and there was a serious risk of rejection that could have increased her already acute suffering. Those risks needed to be weighed heavily. But it seems unlikely that the overall risk profile would have changed significantly if the treatment would have also have affected the baby’s future children. In this sort of case, there would be at least a decade and a half gap between when a modification occurs and the point at which the affected individual may begin to bear children. That’s ample time to detect abnormalities and develop mitigation strategies, including further corrective germline modification. And in any case, I’d argue it would be irresponsible to allow near-term suffering in cases like baby Layla’s in order to avoid much more uncertain long-term risks to individuals who don’t even exist yet, and may not exist but for the treatment itself. A final reason for the differentiation is that some people find germline modification to be a morally objectionable form of genetic engineering. Concerns abound that it involves playing God, opens the door to eugenics and will lead to a genetically stratified society. These objections, though, would also apply to somatic therapy. Modification of the genes in only certain cells is nevertheless still tinkering with human nature, attempting to bring about a superior genetic profile in a person. If one supports a moratorium for germline therapies on such grounds, one should also support a moratorium on somatic therapies, on similar grounds. As a bioethicist, I suggest we apply the same regulatory approach to somatic gene therapy as to germline therapy. Given the much stronger evidence for the safety and efficacy of certain somatic therapies, in the near-term this will likely mean offering clinical somatic therapies and not clinical germline therapies. Or we could ban both, if one seriously objects to playing God with the human genome. But carving out a separate regulatory category, as the committee statement seems to imply, is not justified.